Powerful audio to keep you moving. Engineered to push you forwards, not hold you back. Exercise is a demanding activity. And you demand headphones that are up to the challenge. 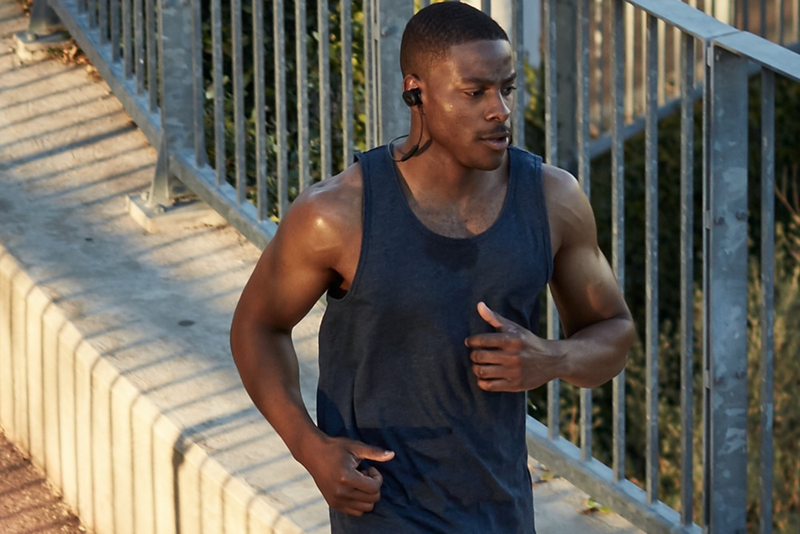 SoundSport® wireless headphones keep you moving with powerful audio and earbuds that stay secure and comfortable. Sweating it out in the gym or running through the raindrops, these headphones will keep you going every step of the way. The acoustic ports are positioned to resist sweat and weather, and hydrophobic cloth keeps moisture out. Exercise is a demanding activity. That’s why you demand headphones that are up to the challenge. With no wires in the way, SoundSport® wireless headphones keep you moving with powerful audio and earbuds that stay secure and comfortable. They’re also sweat and weather resistant with a battery life of up to 6 hours per charge. So nothing’s holding you back from your workout. Connect to your device easily with Bluetooth® and NFC pairing. Once you’ve tried them, you’ll realise that the SoundSport® headphones are not just named for exercise — they’re made for it. 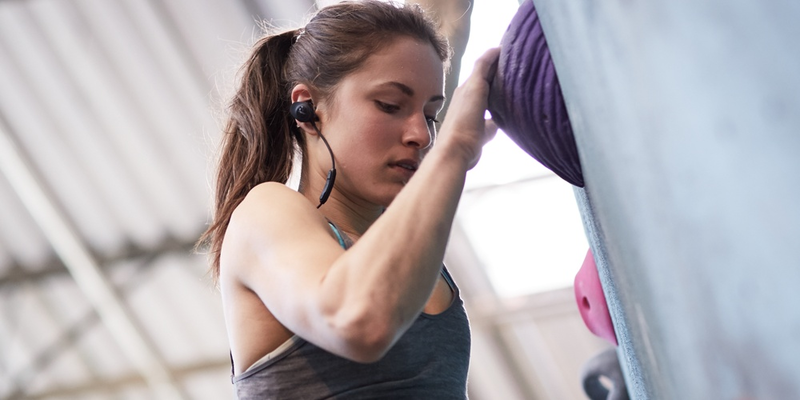 Pairing SoundSport® wireless headphones to your Bluetooth® device is simple. And if you have an NFC-enabled phone, it only takes a quick tap between your phone and the inline remote. Use the inline remote to take calls, control volume and skip or pause tracks. 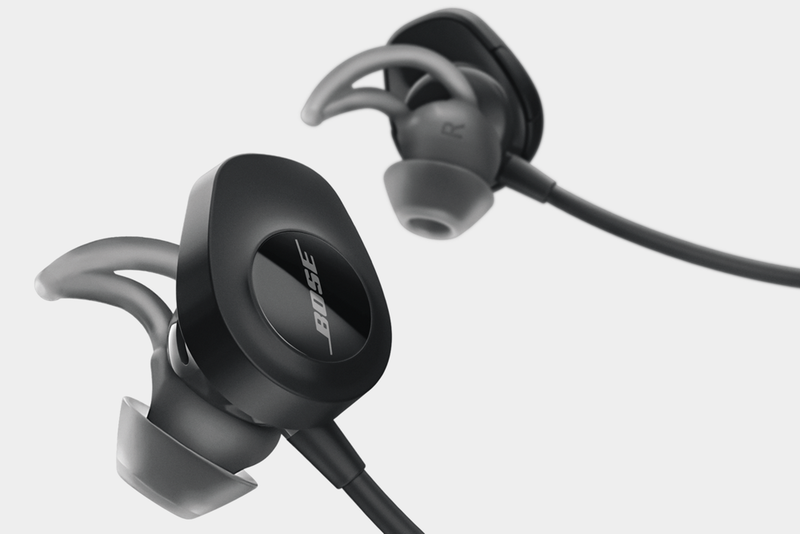 You’ll find the reliable performance and convenience keeps the focus on your sport or workout, not your headphones. You rely on music to push you further and drive you through the toughest workouts. 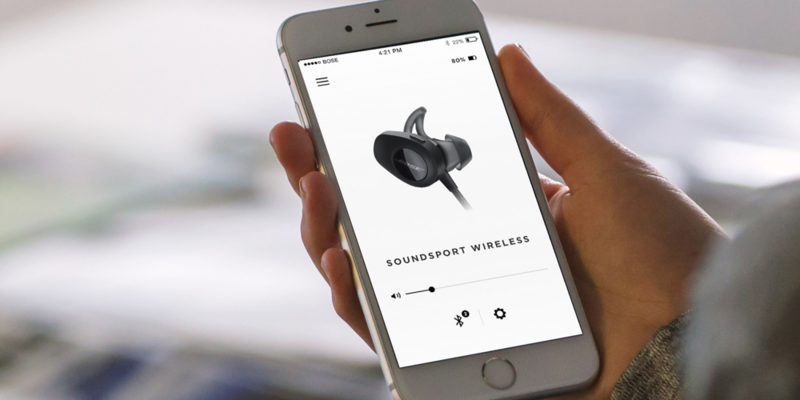 SoundSport® wireless headphones deliver, with the clear, full-range sound our wired headphones have long been known for. And now, volume optimised EQ provides a noticeable improvement to the sound quality at any volume. 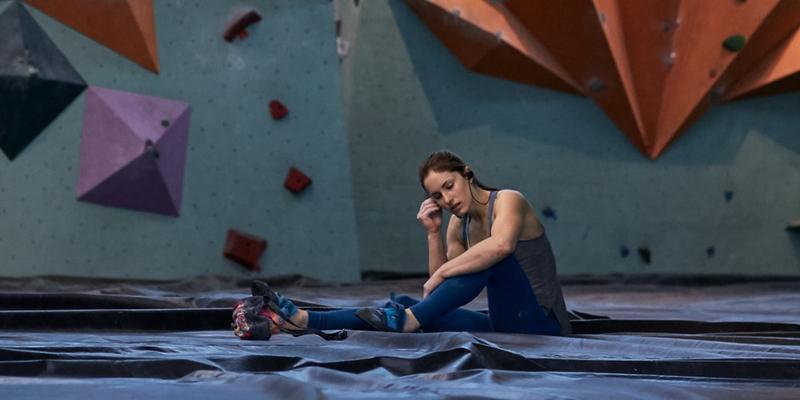 Challenging environments can lead to unreliable performance with many wireless headphones. A dropped Bluetooth® signal outdoors or Wi-Fi® interference in a gym, for example. That’s why we’ve tested our headphones extensively, continuously tweaking until we got the performance we wanted — with no compromise to the audio performance or Bluetooth® connectivity. Connecting to Bluetooth® devices and switching between them—say, from your iPad to iPhone when a call comes in—is now delightfully easy. The free Bose® Connect app manages all connections with an intuitive graphic interface. Once paired with multiple devices, the headphones will switch between them automatically whenever you want. The app also provides software updates, product tips and even lets you personalise your settings.